YOU DEMAND MORE FROM YOUR BODY, DEMAND MORE FROM YOUR VITAMIN STACK! 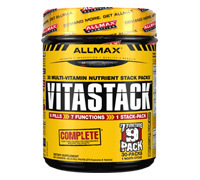 For years, ALLMAX Nutrition customers have been asking for the kind of vitamin pack that only ALLMAX could bring into the market. 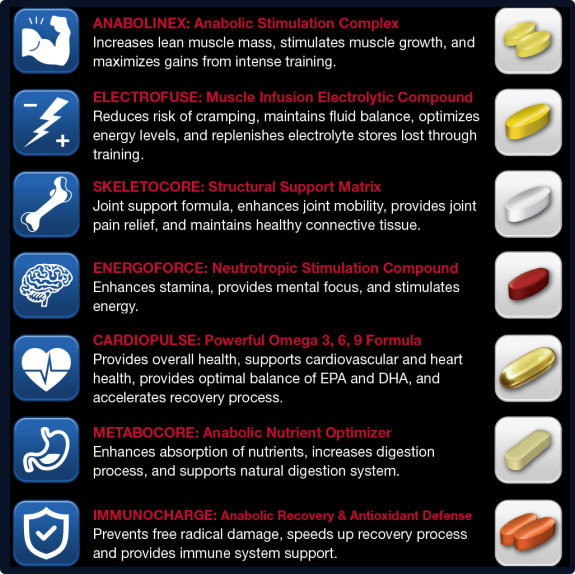 We have taken decades of combined supplement knowledge and poured it into an ideal 9 pill, 7 function, easy-to-take and even easier to remember pack. No counting. No separating. No excuses! We simplify your vitamin supplementation into one easy stack that will provide you with the most effective dosages of only the most essential nutrients to restore, replenish and support your body’s needs! Clearly labelled, VITASTACK stack packs are unbelievably convenient, you can pocket them and take them anywhere, making VITASTACK the ultimate performance partner. 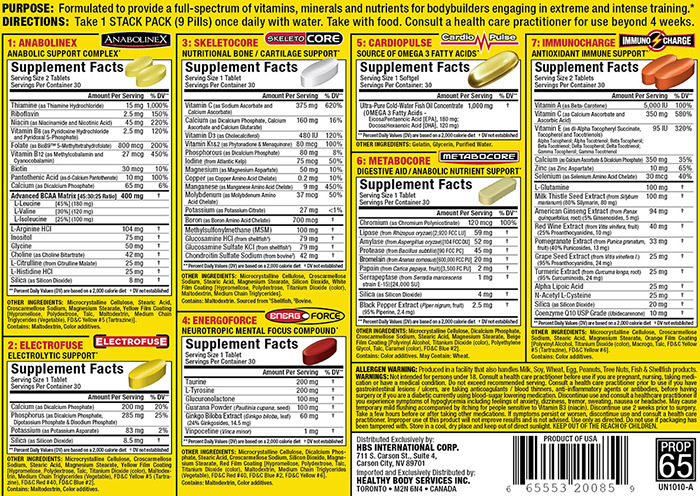 With one glance at the supplement facts, you’ll know that ALLMAX has delivered on high quality supplementation for athletes who demand high performance, and only the best results. Over 70 highly active ingredients, many of which are so advanced and so rare, you will only find them in VITASTACK – ultra high absorption complex nutrients that give you the ability to reach your true potential. DIRECTIONS: Take 1 STACK PACK (9 Pills) once daily with water. Take with food.